Ambience Group is leading India’s realty market with their marvellous constructions everywhere in the country. Each of their residential, commercial and industrial projects has successfully achieved the highest parameters of constructions. 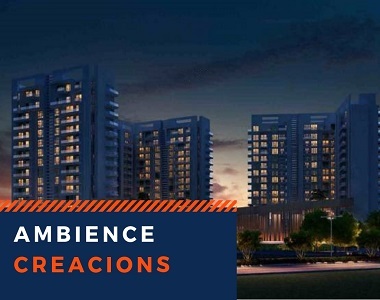 Now, the renowned real estate giants have come again in Sector 22, Gurgaon with their latest announcement Ambience Creacions. Loaded with state-of-art living comforts and facilities, the project has amazed everyone with its unique architectural art in designs, interiors and exteriors. This wonderful creation is a great destination of opulent homes which simply defines perfection with their stunning looks. Buyers can feel here an enriching lifestyle and ultimate living experience where all their desires are catered with the utmost modern comforts and facilities. 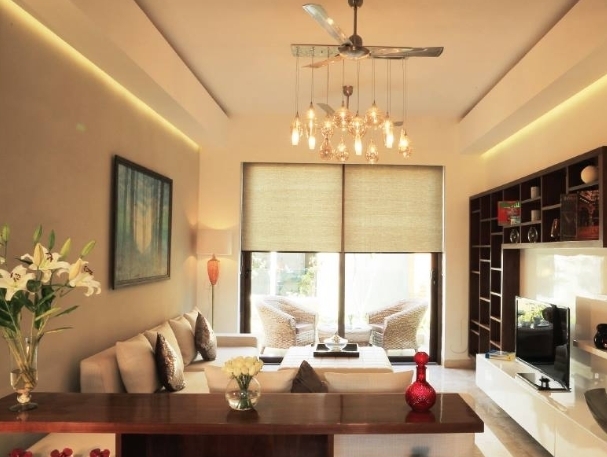 A number of sizes and configurations are available in Ambience Creacions Gurgaon to choose from the 2, 3 and 4 BHK variants with the carpet areas in the range from 1380 sq. ft. to 3976 sq. ft. All the premium living spaces have sophisticated interiors that are designed in a trendy and smart way. To ensure proper cross-ventilation so that residents can keep them fit and stay healthy by breathing in fresh air and nourish in natural sunlight, there are spacious balconies and large-sized windows will premium quality glasses in these beautiful homes. Floorings in the kitchen and other selected areas have been done with Italian marble, there is wooden flooring in the master bedrooms, ceramic/vitrified and anti-skid tiles have been used in the flooring of other areas. Modular kitchens have stunning looks and various provisions essential for a modern cooking experience. The construction work has been done by applying the RCC framed structure with the latest earthquake-resistant technology. All the homes in Ambience Creacions Sector 22 are 100 percent Vaastu compliant and are fully air-conditioned with split AC units using the VRV and VRF technologies. Location of this residential development is really a plus point for the investors who are looking at this property from the point of view of investment. Travelling to the domestic and international airport is very convenient from Sector 22. Its close proximity to the major highways and other important expressways allows the residents to travel seamlessly throughout the whole National Capital Region. Delhi Metro’s Yellow Line has the connectivity to this region and buses are available at very regular schedules here. Apart from that, the places required for daily essentials including departmental stores, supermarkets, ATMs, banks, chemists, best medical facilities, international schools, training institutes, coaching centres, restaurants, cafes, shopping malls, cinema hall etc. 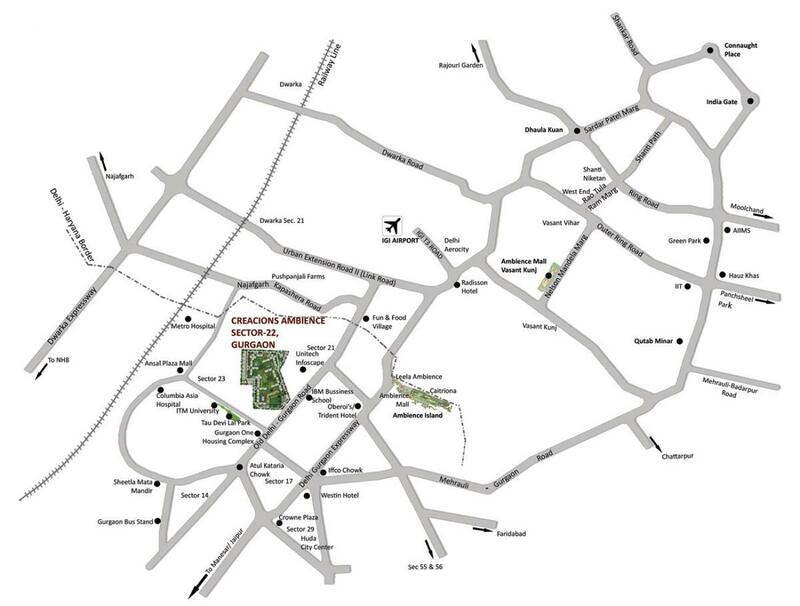 are available in plenty in a quick reach to this township. The residential development has been proved to be as the best housing complex by hosting the latest facilities and world-class amenities to the residents. The property comes with a unique range of extravagant luxury items. Homebuyers can enjoy here a fitness regime at the well-maintained gymnasium, beat the heat waves of summer in the Olympic sized swimming pool, keep your running skills maintained at the jogger’s track, your kids can enjoy their favourite games in the large playground here. You can also celebrate here your special occasions and do fun with your friends by organising a surprise party in the spacious multipurpose hall. With affordable and irresistible prices, the features available in this luxurious property worth completely for the money you invest here. The new bookings are open for the ultra-modern apartments here and prices range between INR 1.51 crores to INR 4.37 crores.